A woman who lives apart from her children, told me recently that time and hope are her friends. Prevented from having contact with her children by her ex, this courageous mother does everything in her power to stay in contact from a distance, despite a hostile reception. 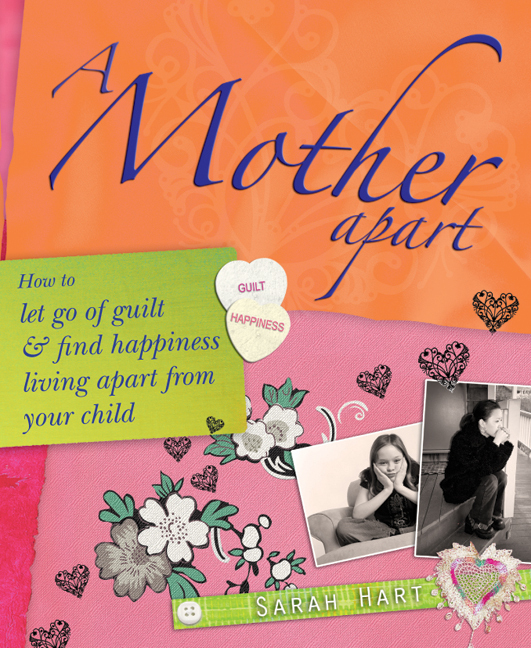 As a mother apart, perhaps you’ve had experience of someone saying, “I don’t know how you cope!” I can remember the shocked response of some people when I told them that my daughter lived in South Africa with her father. A few said that they’d never agree to such an arrangement or be able deal with it. Of course, we can all have this kind of reaction to a lot of difficult situations and hardships that life throws at us. From the outside looking in, we imagine we’d collapse under the burden of loss, disability, violence, injustice, discrimination, not knowing and untruths – but quite incredibly, many people who face all kinds of suffering are able to draw on an inner strength in order to cope. As mothers living apart from our children we are called upon to face up to and manage particularly painful and complex challenges: the loss of everyday motherhood in a society that stigmatises and stereotypes us unnatural, unfit or abandoning, at times. Knowing that we aren’t the only one, that we don’t need to chastise ourselves, drown in guilt, hide our status in shame will help us heal damaged self-esteem and gain confidence as women who live apart from our children. Being a mother isn’t a job, it’s part of our identity and in that sense, we are and always will be mother to our children. Accepting this can help ease our urgency and pain. Motherhood is forever and we are in it for the long haul. If the relationship between you and your children is difficult, long distance or non-existent, please hold on… intently but lightly. We don’t know what the future holds. Please pace yourself and know that time and hope are your friends too.